Hey, folks. As you may have heard, there is this celebration of the popular arts down in San Diego this week. A convention, of sorts. Some of you may be planning to attend. I’m going to be there, too, and if you wanted our paths to cross, well... I figured I’d tell you where to find me. 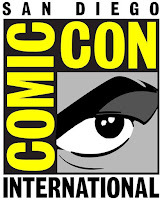 As it happens, though, this year all my events for San Diego Comic Con have fallen on the same day. So I’m pretty much going to be there for Thursday and... well, that’s it. I may wander around a bit Friday, possibly duck in Wednesday night to get one of the cool Beebo bags. But really, your best chance to find me is going to be on Thursday. This is just a little unscheduled thing as I scribble in copies of Paradox Bound for the Crown folks. Please feel free to stop by, say ‘hullo,’ and pick up a book for me to personalize for you. It is informal, so I’ll probably only be here for 20 or 30 minutes. That’s pretty much going to be me at SDCC this year. Hopefully I’ll see you there, and maybe we’ll get to talk for a bit. I know, I know. Asking-for-trouble title on this one. Please just stick with me, though, okay? There’s a good reason for it. Which I shall explain with this shocking revelation and a quick story. When I was in seventh grade, I found out I was color blind. This may seem like a weird thing for someone to “discover,” but it makes sense if you think about it. I’m daltonic (or deuteranomalous if you want to get super-specific), which means I can see most colors, but I have trouble with reds and greens. I just kind of learned by filling in the blanks. For example, leaves, Sleestaks, and the Hulk were green. Grass is the same color as leaves, therefore grass is also green. 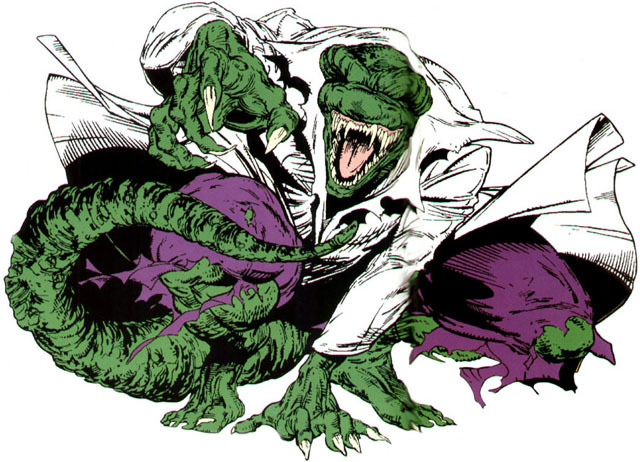 The Lizard is the same color as the Hulk, therefore the Lizard is also green. I just matched things up with what I learned from books and comics and Sesame Street. In other words... I learned just like everyone else did. 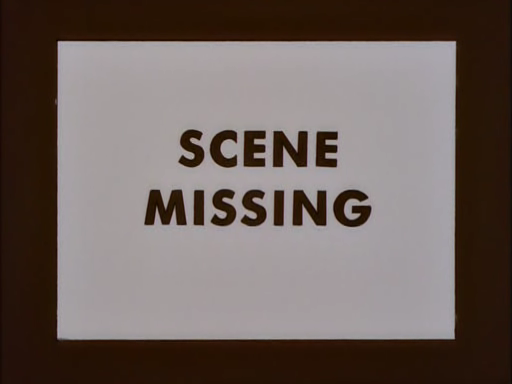 Of course, it never occurred to me that what I was seeing might not be what everyone else was seeing. Why would it? My vision was perfectly normal. Nothing made this more clear than several determined childhood attempts to manifest either X-ray vision or optic blasts. Then one day I got to Science class and the teacher had a slide show set up. It was a bunch of those pictures-hidden-in-colored-dots things (an Ishihara test, if you were so interested). Like that one right down there. And much to my surprise... I couldn’t see anything in them. Almost two-thirds of them looked blank. Just like that one down there. I can’t see anything in it. No pictures or patterns or anything. If you can, feel free to say something in the comments. Anyway, I had a low-level, seventh grade freak-out about all the important stuff—Will I still be able to get a drivers license? Will I have to get glasses? What girl will ever want to kiss me knowing I’m color blind?! Once that was done, I spent the next day or two re-examining my whole world. What did Sleestaks really look like? That “grass is always greener...” thing had always seemed stupid to me, but did it make sense to everyone else? And that’s when it suddenly hit me. How did everyone else see the world? What was I missing out on? I mean red, white, and blue Captain America looks really good to me, but how much of that was being told for most of my life that red, white, and blue were complementary? How did everyone else see those red stripes? I couldn’t imagine a “new” color that could fill that slot. Would most people be horrified at what I saw? I spent weeks pondering this. What were other people seeing? How were they experiencing the world? If red was the color of anger... was their anger different than mine? Their envy? What would alternate-green envy be like? I was honestly second-guessing everything (which, granted is what most of seventh grade is, but this was on top of the usual stuff). Once or thrice here I’ve talked about empathy. Really simply, it’s the ability to understand what other people are going through. If your friend has a hangover, goes through a bad breakup, or saves a bundle on car insurance with Geico, these are all experiences we can relate to, and we can apply how we felt to guess how they’re feeling. But really, empathy goes beyond that. I still have both of my parents, so I didn’t know what it was like when one of my friends lost his. But I could extrapolate from how I feel about my parents and from huge losses I have suffered. Empathy’s being able to relate to people even when you haven’t directly experienced what they have. I’ve never had that ice-water in your spine moment what I realized I’m sitting in an office with a serial killer. I’m guessing most of you reading this haven’t, either. But our job is, quite literally, to convince people we have. 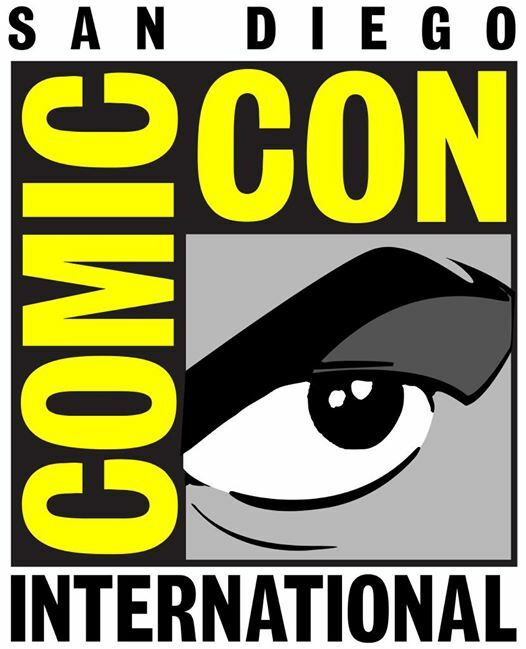 Next week is... oh, holy crap, next week is San Diego ComicCon! 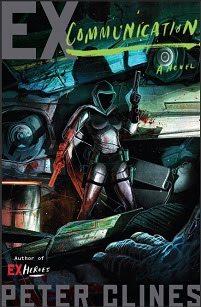 And I’m going to be there next Thursday, hosting a Writers Coffeehouse with Jonathan Maberry (he of Glimpse and V-Wars and the Joe Ledger books). Plus I’ve got a couple of signings scattered through the day. I’ll put up a schedule very soon. Well, I’ll come up with something. San Diego Comic Con is next week, and if you’re going it’s possible you’ve got time to kill in a car or on a plane. Might I humbly suggest pre-ordering a shiny new audiobook to make the journey more pleasant…? 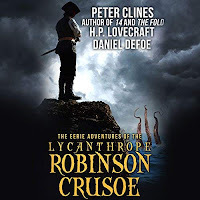 Eight years after its original paperback release, The Eerie Adventures of the Lycanthrope Robinson Crusoe is finally available in audiobook format. 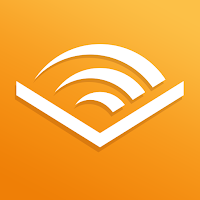 The folks at Audible have done an absolutely fantastic job with my long-ignored “middle child,” and they even got Tim Gerard Reynolds to narrate it! How cool is that? It’s up for preorder now, available next Tuesday. Okay, yeah. That’s a friggin’ lazy title. I’m pressed for time. Sorry. Why am I pressed for time? Well. 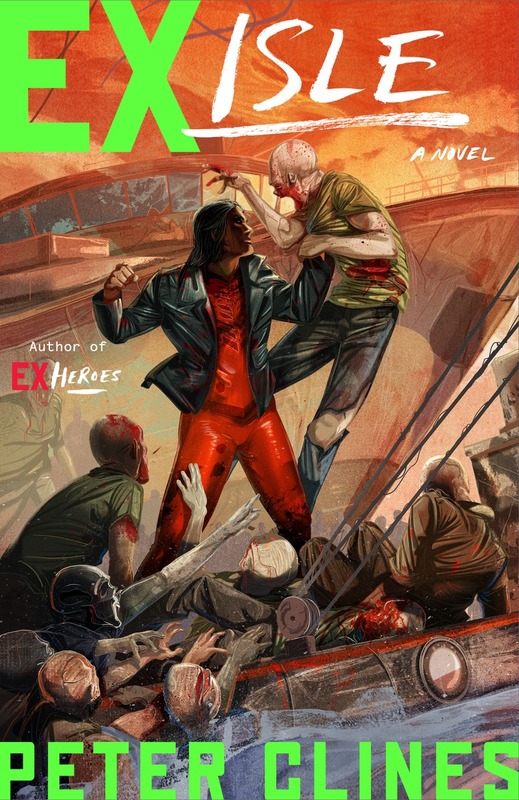 I’m trying to pack up my apartment (and my office), while at the same time finish a final polish on this book and write the ranty blog and prep for a Writers Coffeehouse this weekend and holy crap San Diego ComicCon is in two weeks. Anyway, while you read this I’m finishing a draft of my current project and it struck me that I haven’t talked specifically about drafts in... well, a couple of years now. So it’s definitely a topic worth revisiting. Some people hate doing drafts. Others get caught in this endless loop of writing and rewriting and rewriting and rewriting and...well, you probably know someone like that. And there are folks who skip "drafts" altogether, convinced their words are NYT bestselling gold the minute they’re set down. What I wanted to do here is sort of a step-by-step guide of what I do to get something to the point that I’m willing to turn in to an editor. And by “editor,” I mean “someone who will give me money for these words I’ve written.” This is final step stuff. Here be dragons. 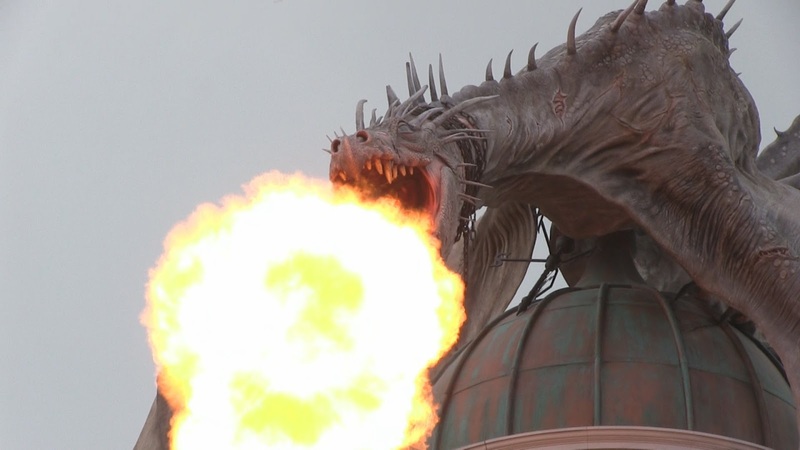 If you think of editors as scaly, fire-breathing folks. I’ve mentioned once or twice or thrice before that we all have our own methods of writing. Doing drafts this way helps me a lot, but it’s not a guarantee of success for anyone except me. You might need to modify these steps a bit. Or a lot. But all things considered, I think this is a good base to start from. While I’m working on a book, I’m usually scribbling down random thoughts about the next book. Characters, dialogue, action moments, reveals... all sorts of different elements. I’ll shuffle these around into more or less the order I think they’ll end up. Over the past two years or so, I’ve become a bigger fan of outlines than I used to be, but not enough that I’d say “This is the one and only true way! Bow before your meticulously outlined god!!! !” I shuffle things around, maybe plan a few extra beats, and get a sense where I want to start and where I’m going. Draft One—So, for me, this is the “just finish it” draft. I just want to this draft to go from beginning to end with... well, most of the points in between. I don't worry about typos or crafting nuances here. It’s just the “plow through and get it done” phase of writing. At this early stage, I don't hold anything back. I let dialogue, descriptions, and action scenes run on a bit longer than they probably should. I know I'll be cutting eventually, so there's no reason to worry about length now. For this stage, it really is quantity over quality. Also, like I hinted above, if I get stuck on something at this point... I just skip it. Seriously. 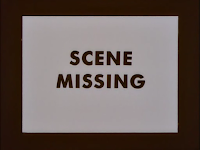 My first drafts look like old silent movies with the little “Scene Missing” card that pops up for twenty or thirty seconds. I know I’ll be able to go into the exact details of that conversation or this sequence later, so I'd rather keep moving forward and leave that stuff for Future Peter to deal with. Again, for me, the most important thing is to get the overall framework done. It's a lot easier to think about the little things when the big things aren't looming over you. Depending on the book, this process takes me anywhere from two to three months. I had one book take about six weeks, but that was pretty rare for me. If I factor out the time I lost to some personal stuff, this last one was just over three. Draft Two—So, all those problems I left for Future Peter to deal with? I’m him now. Those need to be dealt with. Gaps get filled in. Characters get fleshed out a little more, and sometimes renamed. All those awkward knots get worked out. Now that I can see a lot of these elements in relation to the whole story, I'll usually find the answers to these problems are more apparent. The goal with this draft is to have a readable manuscript. No more little notes to myself or trailing paragraphs that need to get connected somehow. Someone should be able to pick this up and read it start to finish without thinking they lost a few pages or only got my notes on a chapter. Again, keep in mind—this doesn't mean I do show it to people. It just means I should be able to. For some writers, this would really be their first draft. That’s one of those personal preference things—again, advice over rules. Personally, breaking it up like this takes a lot of pressure off me, and I think that’s a good thing when you’re trying to treat writing like a real job. No one likes a high-pressure job. Okay then, so... now I step away for a couple of days. Maybe as much as a week. I’ll watch movies, work out a little more, maybe even scribble up a few of these ranty blog posts in advance. The goal is to push the manuscript as far out of my mind as possible. Don't look at it, try not to think too much about it. Yeah, the second rule (courtesy of Stephen King) goes off the previously mentioned assumption that my first clean, readable draft is my first draft. I spend this draft tracking down adverbs, adjectives, pointless dialogue descriptors, and so on. One thing I also go after here is common padding phrases that don't really do anything (sort of, somewhat, kind of, more or less). One of my regular beta readers dubbed this somewhat syndrome a while back, and I still call it that. I like to tell myself I’ve gotten better about it now that I’m aware of the problem. Hey, we all have the little lies that get us through the day. And this little stuff adds up fast. In my current manuscript I cut 200 instances of that. Almost a full page gone, just by checking on one word. At this point I've gone through the whole manuscript at least twice, so a few larger cuts should be apparent, too. Overcomplicated descriptions that slow down the narrative. Awkward sentence structures. Extensive character moments that add nothing to the character, the story, or the plot. Many of these things get tightened or cut in this draft. I spend a week or two doing this. The Fourth Draft--This is the first big polish. I go through sentence by sentence, looking for words that come up too often or stilted dialogue. I also make sure all the cuts and swaps from the last draft haven't messed anything up. Are the logic chains still complete? Did I forget to change Gilford’s name to Gillyman anywhere? Does Gordon have a pistol or a baseball bat in this scene? Are there any odd character tics that I forgot to remove or add? Does the whole thing have a good flow to it? This draft doesn’t take long. Just a day or two. It’s just one slow, careful read of the story. And, yeah, sometimes I still miss stuff. Once I’ve got this clean draft, I send it off to my beta readers to get fresh eyes. I generally use four or five friends I’ve know for years. They're all professional writers and editors who know how to give useful criticism. Not to beat a dead horse, but by professional I mean... they have actual credentials. Some folks may decide to hire a professional editor at this point. Nothing wrong with that. The important thing is to get an unbiased opinion I can trust, even if I have to pay for it. 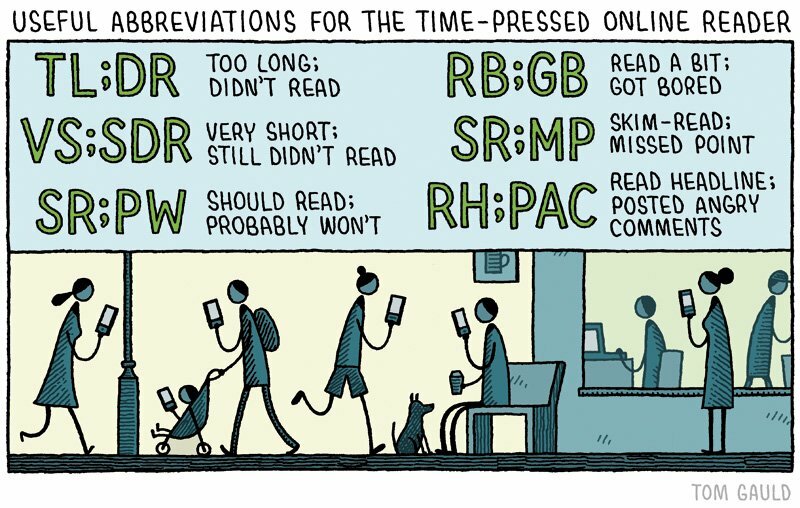 A few folks might argue that editing is the publisher’s job. Okay, sure, you could look at it that way. I need to get a publisher first, though, and why are they going to bother acquiring my crap manuscript that wasn’t even edited? Anyway... this draft goes off into the world and it may be a week or three before I look at it again. For me, at this stage in my career, it usually depends on deadlines. But I don’t look at it during this time. I try to relax a bit, scribble down ideas for later books (see above), or flex different mental muscles. For example, as I mentioned before, right now I’m packing up a lot of my office. Turns out I've got a ton of LEGO and Warhammer and Gundam models and comics all piled up in the closet here. Who knew? The Fifth Draft—So, I've gotten notes back from those wonderful folks I begged/ blackmailed/ paid to read this thing. Now I go through the whole manuscript page by page with their comments. At one point I did this with multiple monitors. So, page one... what did everyone think? What about page two? How's page three look? This way I can see all the notes at once and make whatever changes are required. I've also got my own copy of the fourth draft that I’m slowly rewriting into the fifth draft as we go. I mentioned I ask four or five people to make notes for me. That gives me a broad sampling on each note/ issue that comes up. If four people like something but one doesn't, odds are I'll call that good. Nothing’s going to work for everyone. 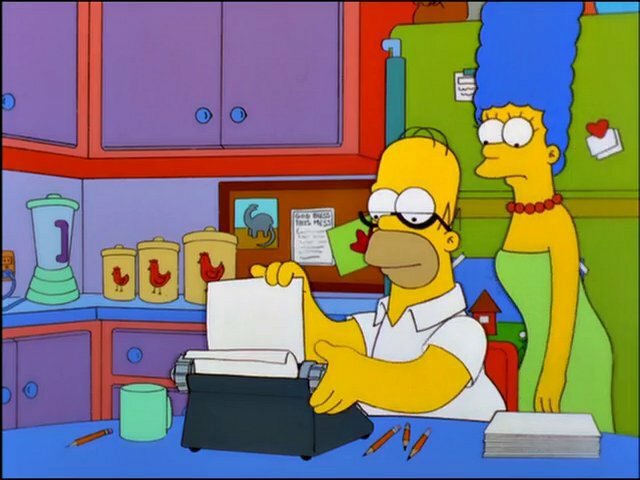 If three don't and two do (and of course I do—that’s why I write it), I'll sit and give it a good look. If nobody likes it, well... I'm smart enough to admit when I've screwed up and something doesn't work. This draft can take another two weeks or more to finish with a full book manuscript. The Sixth Draft-- This one's another polishing draft, just like the fourth. I need to make sure everything still works now that I’ve made those changes and tweaks from my reader's comments. So, yet another line by line reading, adjusting as I go. And at this point... this is when I’m done. There’s only so much a given writer—in this case, me—can do with a given story. There comes a point when further work accomplishes nothing and I’m just rewriting for the sake of rewriting. If my manuscript’s not ready for a publisher (or film producer) by now, it probably means I screwed up something big right at the start. Next time... well, if there’s anything next week it’ll be really quick. As you may have figured out, I’m moving, and the big day is a week from today. And then the week after that is San Diego ComicCon! Oh, hell-- and the Writers Coffeehouse is this weekend. If you're in LA,stop by Dark Delicacies noon to three on Sunday. So, this may come as a shock to some of you but... I write books. People often ask me questions about these books. Sometimes the same questions. See, I’m a big fan of social media. Yeah, there are some deplorable folks, but there are a lot of good people, too. I love that I get to say “hullo” and chat with people about things. Books. Movies. LEGO. Games. It can fray one’s patience to answer the same questions again and again and again because some folks won’t bother to scroll down two or three posts or up through the comments. Between this blog, the Facebook fan page, Twitter... well, that adds up to a lot of people repeating the same questions. Not you, of course. You just asked that one time without thinking. You’re cool. I’m talking about that other guy. Him. That guy’s so friggin lazy. Anyway... rather than get annoyed at someone for asking the same question that I already answered three times this morning in the same thread, I figured I’d scribble up answers to the ten most common questions and pin them here and on a lot of my social media pages. 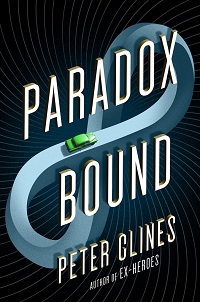 Well, we just had the paperback of Paradox Bound come out last week. Hopefully you all checked that out and left kind reviews with all your favorite booksellers. 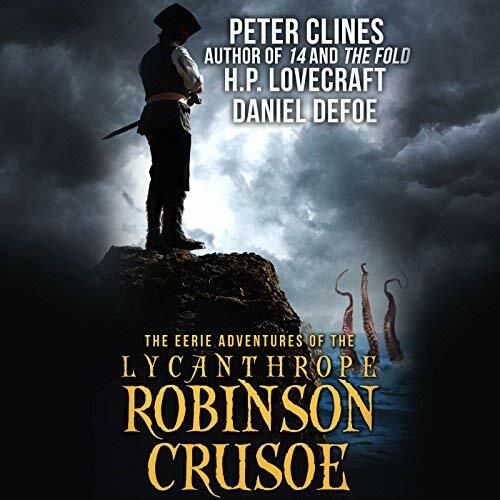 Two weeks from now, July 17th, my second novel, The Eerie Adventures of the Lycanthrope Robinson Crusoe is coming out as an audiobook almost eight years after it was first released. It’s being narrated by Tim Gerard Reynolds and... well, I’m really looking forward to it. I’ve always had a special fondness for this book, but I know the period writing style didn’t thrill a lot of people. It won’t be as noticeable in a spoken performance, so I’m hoping a lot of you will give it a try and have some fun with it. Then, if everything times out right, I believe at the end of the year you’ll be seeing Dead Moon, a sort of sci-fi horror story about zombies on the Moon. No, seriously. I think it’s kinda fun and pulpy and creepy. I guess we’ll see if I’m right. Hard to say, but... yeah, it’s looking that way. 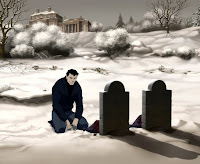 The simple truth is, every series has a limited life. Very few people decide to start on book three of a series—they go back and start at book one. So book one always sells the best. Attrition says not as many people show up for book two, even less show up for book three, and so on. It’s always a downward slope heading for that red line where things aren’t profitable. 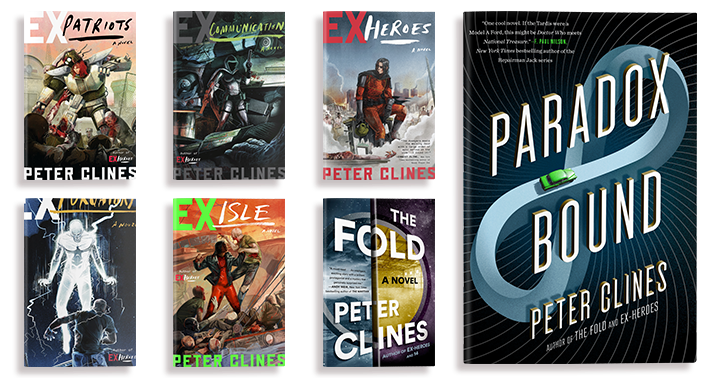 None of the Ex-Heroes books ever lost money (thank you all for that), but all the numbers said book six... Well, the prognosis didn’t look great for book six. Keep in mind, nothing’s set in stone. Any number of things could make the series surge in popularity and get the publisher more interested. Or, depending on how things work out, I might be able to apply a little leverage. But for now... Ex-Tension is moving to a back burner. Very sorry. The simple truth is, if there were enough people willing to pay for another book, the publisher would still be willing to put it out. Sure, some people might pay twice as much to get one more book, but experience tells me four times as many people wouldn’t pay anything (for one reason or another). There’s pretty much no way this would end up working out. Plus, my schedule’s set up many months in advance. I already know the projects I’m working on until September of 2019. Doing something like this means I have to plan on it happening, which means... a potential gaping hole in my schedule when it doesn’t. 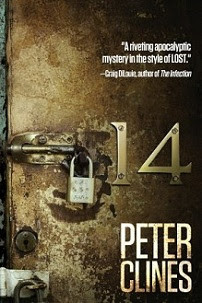 4) Will there be another book set in the 14/Fold/ Threshold series? Yes! I’ve started working on it already, and probably going to be diving in right after SDCC (see #10 down below) and the target date is to have it in to Audible by the end of the year, so they can have it out to you in spring or summer of next year. Also, yeah, we’re calling it the Threshold series now. 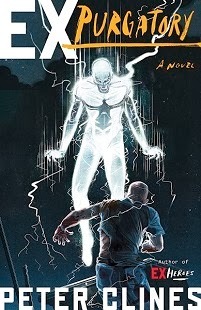 I talked about it a lot with my agent and the folks at Audible, and we bounced around a few different options (some of which originated over on the fan page) and rationales. We wanted a good, overall title that could reference all these different books with subtle and not-so-subtle connections. Sort of like how King has a lot of stuff that falls under the Dark Tower umbrella even though there are a few specific books telling that story. Threshold fits in a few different ways. A threshold is part of a doorway, and doorways figure big into most of this series. It also refers to something reaching a specific critical level—another recurring issue in these books. And, finally, it’s also a reference to an old H.P. Lovecraft short story. 6) Wait, why do you keep mentioning Audible? I have a fantastic relationship with Crown, but they have their own tastes and expectations. These two books—Dead Moon and the new Threshold book—just didn’t appeal to them. For a couple of different reasons. And that’s fine. Seriously. I want to stress that none of it is negative. My editor at Crown, Julian, has already talked with me a bit about what we’ll be doing together next year. We're all cool on that front. Now, as all this discussion is going on, Audible starts gesturing to me from across the room. I also have a very good relationship with them and it’s worked out very well for everyone involved. There’s a fair argument to be made that the majority of my fanbase is audiobook listeners. 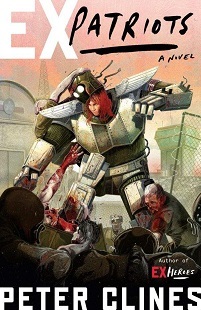 Heck, when Paradox Bound made the NYT Bestsellers list, it was with the audiobook version. So Audible made a very generous offer for these two books. For exclusive rights to these two books. So both of these are going to be audiobook only for the first six months they’re out. After that, we’re talking to some folks, and I should have some answers for you by the time I update this FAQ. Yeah, I know this is going to make some of you grind your teeth. My agent and I talked about it a lot, believe me (even with that generous offer). Every other day on the phone for almost six weeks. In the end, I really wanted to tell these stories and this was the best way to do it. 7) Will there be a sequel to The Junkie Quatrain? 8) Do you make more money if I buy one of your books in a certain format? This sounds like an easy question, I know, but there’s about a dozen conditionals to any answer I give. Figure a huge chunk of each contract is just all the conditions for getting paid. For example... format matters, sure, but so does where you bought the book. And when. And how many people bought it before you. And if it was on sale. And who was actually holding the sale. And all of this changes in every contract. What’s true for, say, Ex-Communication may not be true for Paradox Bound. 9) Why don’t you like people talking about your books? To be honest, I’m still stunned and thrilled that people talk about anything I wrote. Seriously. What I can’t stand are spoilers. I’m thrilled Wakko enjoyed it so much when the protagonist found that and discovered this and learned about them. When he tells people about it, though—no matter what his intentions—Wakko’s ensuring that other folks won't have as much fun with the book as he did. It's like if I tell you how a magician does all her tricks and then take you to see her performance. You’re not supposed to see a magic show knowing how all the tricks work and being aware of the resolutions in advance. It kills most of the fun, because the story structure that created a sense of wonder and discovery has been destroyed. This is why I avoid those questions in interviews, and why I always ignore/ delete posts that reveal information from the back half of a book (yep, that’s probably what happened to your post). It doesn't matter if the rest of the post was positive or negative, spoilers = deleted. And not just my stories! Don’t mess up other stories, either. Movies, TV—if you enjoyed it, try to give other people a chance to enjoy it the same way. 10) Do you have any plans to attend XXXXX-Con? In a few weeks I’m going to be at SDCC. 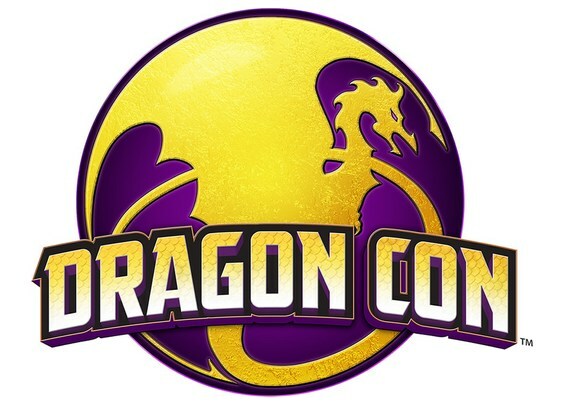 Later this fall I’ll be at Dragon Con in Atlanta. I’ll give more info on each as they get a bit closer. I think that’s pretty much it. Probably not doing NYCC again this year. But—things change all the time. If you really want me to be at your local con, let them know! Yeah, them, not me. I’m willing to go almost anywhere I’m invited, but if I’m not invited... there’s not much I can do. And keep in mind that most cons finalize their guest list three or four months in advance, so if your local con’s next month... odds are not in your favor. So, email them, tweet them, post on their Instagram account. Reach out and let your voice be heard. 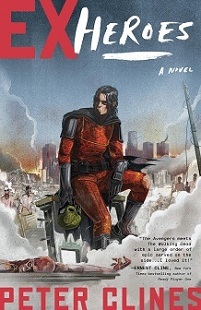 11) When are you going to make a movie/ TV series/ cartoon/ graphic novel/video game of your books? Okay, there’s a misunderstanding of how Hollywood works in this sort of question. When you see a TV series or film adaptation, it means the studio went to the writer, not the other way around. I mean, if it was just about the writer saying “make this into a movie,” well... wouldn’t most books be adapted by now? Everyone would be doing it. 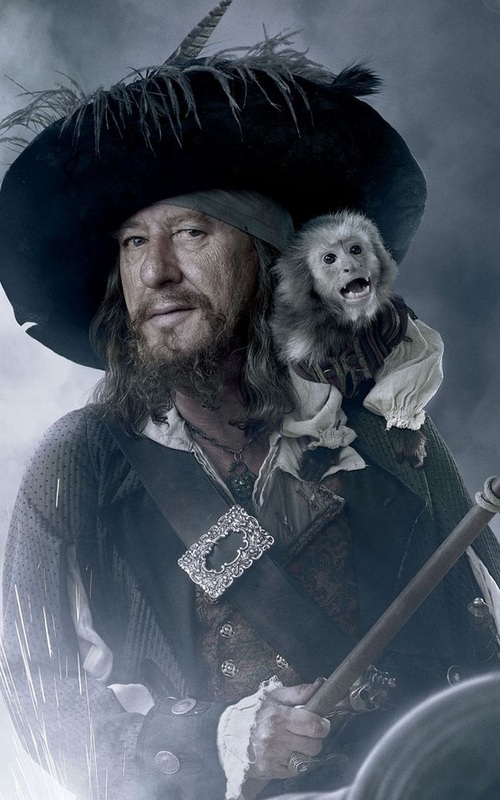 Alas, I have zero say in whether or not Starz wants to do an Ex-Heroes series or SyFy does a Lycanthrope Robinson Crusoe movie. They’re looking for things that have piqued a certain level of interest, and so far these stories of mine have only just scraped that threshold. No, me (or you) writing the screenplay won’t make a difference, unless your name happens to be Terry Rossio, Joss Whedon, or David Koepp—and even then it’s not a sure thing. 12) Wait, wasn’t there going to be a TV series based on 14? Theoretically, yeah. 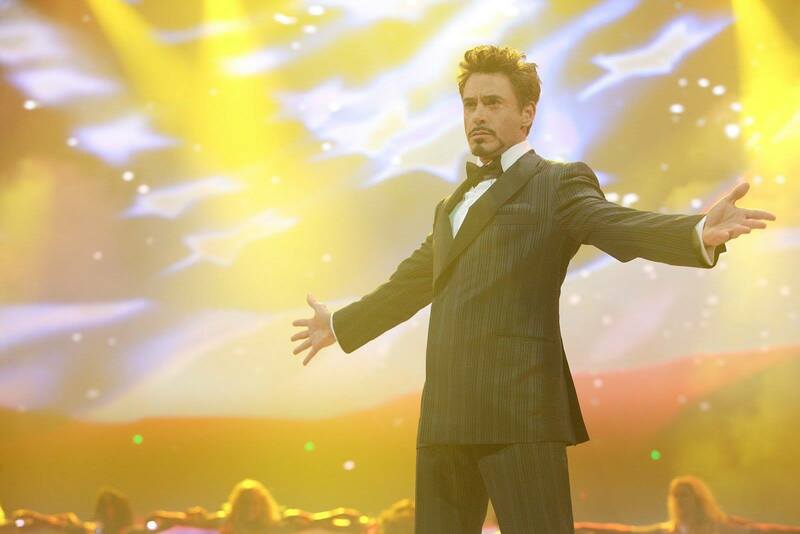 A few years ago I was approached by Team Downey, the personal production company of that guy who plays Iron Man. Turned out he’s a fan of 14 and wanted to do something with it, and a deal was struck with his company and WBTV. But... Hollywood’s a big game of if. If a pilot gets shot, if it turns out okay, if the various network execs likes it, if it gets picked up... And some of these ifs are on a time limit. WB paid to push it back once and give themselves more time (which got a bunch of us very hopeful), but... it just didn’t happen. Which all kinda goes with what I said up above in #11. Robert Downey, Jr. had signed on as an executive producer and that wasn’t enough to get it made. But I still get to say he liked one of my books. 13) So, is there anything we can do to help? Well, buying books is always a good step. Hollywood likes to see big sales numbers and interest. If you want to see something—anything—on the air, talk about it a lot on social media. Producers/ directors/ actors all hear about this stuff the same way you do. If #ParadoxBound or #DeadMoon started trending on Twitter tomorrow, there’d probably be a film deal within a week. 14) Wait, wasn’t this a top ten FAQ? What are you, the freakin’ number police now? Most people are happy to get bonus content. Just go with it. 15) Will you read my story idea and tell me what you think? Part of this is a time issue—if I say yes to some folks, in the spirit of fairness I have to say yes to everyone. Now I’m spending all my time doing critiques instead of writing. Not to sound too mercenary, but... writing is how I earn my living. When someone asks me to read stuff, they’re asking me to give up a few hours of work. And I do have this ranty blog just sitting here with over a decade of writing advice and tips. It’s also a legal thing. Some folks are lawsuit-crazy, often for no reason,, and the bad ones ruin it for everyone else. Let’s say Phoebe gives me a piece of fanfic to read where she has Harry and Eli showing up at a certain post-apocalyptic film studio. And then, a few years from now, I decide to do a big crossover story. That’s when Phoebe sues me for stealing her material. Yeah, it sounds stupid, but I’ve seen this happen so many times. Hell, I’ve actually been subpoenaed and deposed over a case with less behind it than that example I just made up. This is why I’m verrrry leery when I get a long message along the lines of “Hey, you know what should happen in your next book...” It’s why some writers have responded with cease & desist orders when they get sent stuff like this. It's also why I'm not part of the above-mentioned spoiler groups. 16) Will you be my friend on GoodReads? I post nothing there and spend as little time there as possible (which usually works out to “no time”). If you see anything there from "me," it's something someone else posted. I understand a lot of folks love the site and if it works for you, that’s fantastic. I won’t be there. 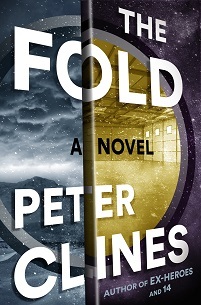 I’m @PeterClines on Twitter. Fair warning--as some of you may have figured out, I’m progressive and I’m a bit more political over there. On Saturdays I also drink a lot and live-tweet bad movies so... you know what you’re getting into. Also Loud Howard, my cat, still has hundreds more followers than me. Seriously. So don’t let anyone tell you being cute won’t help you get ahead. And I think that covers all the big stuff, yes...?